Below are links of articles, videos, websites, and information. Please click on the images below to find out more. Click on the GT Academy link to find out more about the Nissan GT Academy program, and to view the results and information from previous years. 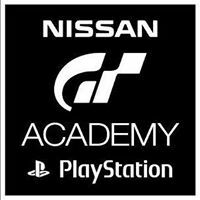 This program takes virtual gamers and turns them into professional racecar drivers, and I would not be where I am today without Nissan GT Academy. GT Academy is a truly innovative way to find racing drivers, and it proves year in and year out that it is possible to get into racing without millions of dollars. ﻿﻿﻿ The other article I was featured as the “First Gear” m﻿﻿ember of the month in February 2009, written by James He﻿﻿ine explaining my beginnings in racing, my family’s automobile repair shop, and my future plans. The Sheboygan Press, a local newspaper near my hometown, published four articles about my experience﻿﻿﻿﻿﻿s thus far. Click on desired Sheboygan Press headline below to find out more. An article by the Sheboygan Press explains how by fixing a tire at my family's repair shop transitions into racing in the NASCAR Xfinity Series at my home track of Road America. This article explains the 24 Hours of Dubai and results that our team achieved with the NISSAN GTR GT3 in January 2015. Another explaining my GT Academy Racecamp week experience and my driver development program in the United Kingdom. The last article, August 2014, written before I left for Silverstone Raceway and my GT Academy Finale. The Driver's Meeting, a local radio show 92.5 WBWI, had me as one of their featured guests on August 13, 2014 radio show. I begin explaining my journey so far in GT Academy before the finale at 28:00 and how I got started in racing. Click on the image above to listen to the broadcast. Another great on-track experience I was able to participate and learn from was running lapp﻿﻿ing session through the﻿﻿ Northwoods Shelby Club. Whether at Road America, Blackhawk Farms, or Gingerman Raceway I was able to get tons of track time at a very reasonable price. Click on the image above to view the club's website to get on track soon! Click on the sportscar365 image to view an article written by Tony DiZinno of Sportscar365.com. The article explains my 24 Hours of Dubai experience with the RJN Motorsports NISSAN GTR GT3 and also explains my aspirations and goals going forward. The article explains how I much I am looking forward to 2015 - 2016 and hopefully a seat in the NISSAN LMP1 GT-R car as my dream of racecar driver becomes more of a reality! I was quoted in an article about videogames improving driver skill in the Wall Street Journal. The article describes how sim racing is becoming a very effective tool and the benefits of practicing on a simulator before hitting the track. You can find and read this article by clicking on the WSJ logo above. The article was published on November 12, 2015. If you would like to partner with me or are interested in communicating directly please email nhammann99@gmail.com. I appreciate your time and I hope to see you at the racetrack soon!